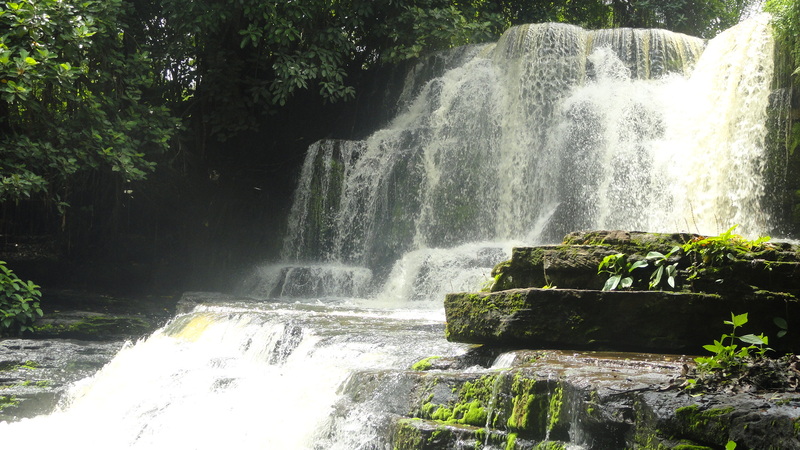 Yesterday, we spent our day off at Kantempo Waterfalls, about 3 hours outside of Tamale. 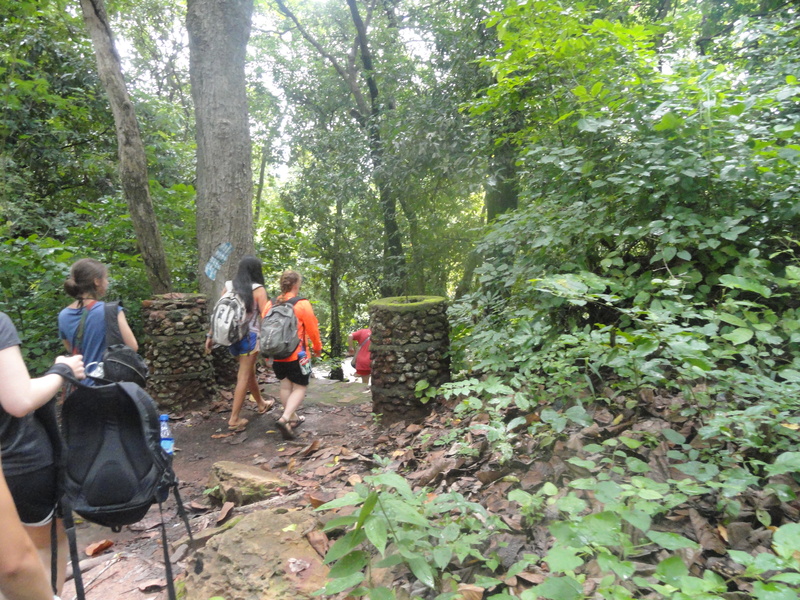 Several of the translators came along, and everyone had a great time swimming in the falls! 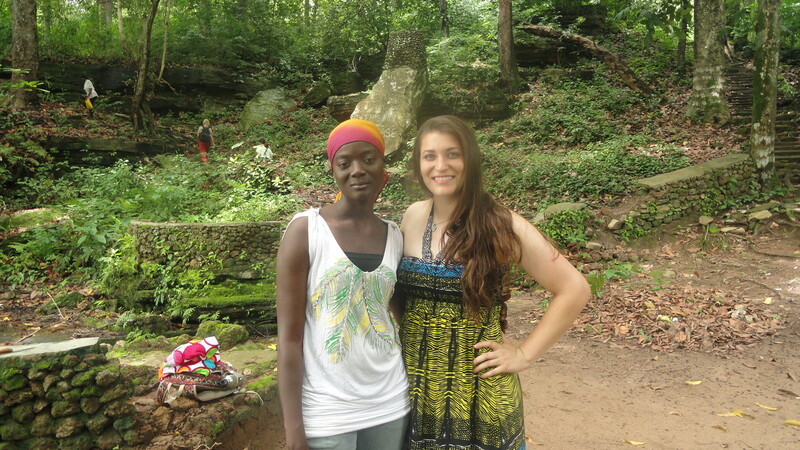 Kelly and our translator, Sharifa! Today in Janakpeng we completed our first day of monitoring after opening day. First, we met with our women entrepreneurs, Facina and Memunatu. We discussed their plans for their business, and asked them how they thought opening day went. They were pleased with the number of sales on opening day, but they think that since times are hard in the village and it is almost rainy season, they don’t expect as many sales in the upcoming weeks. 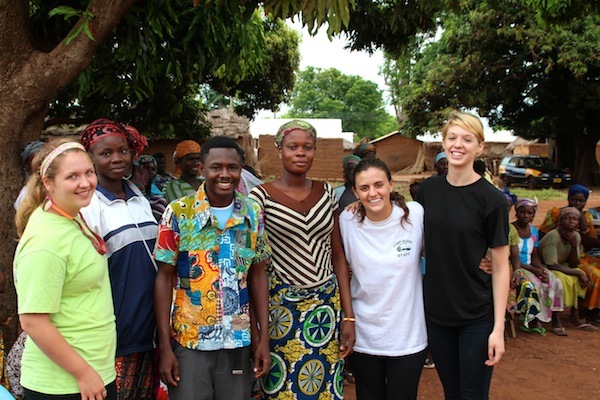 Our awesome entrepreneurs, Facina and Memunatu! Next, we visited 6 households to check their safe storage containers. Almost everyone’s bucket was full, which was great to see! 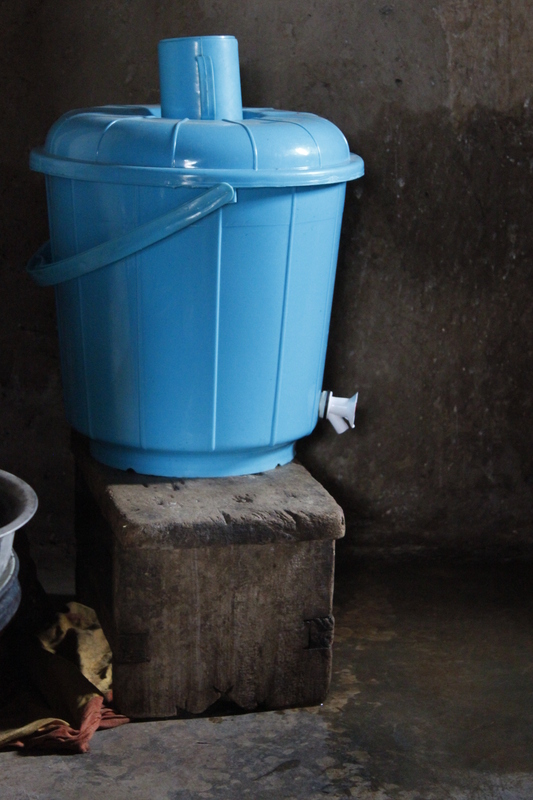 A CWS safe storage container – raised from the ground, a clean cup on top, looks great! We reiterated to each family how important it is to drink clean water and stressed the connection between water and disease. We received feedback from a few families that the water tasted too much like alum, so we talked to the women at the center so they know to use less alum next time. 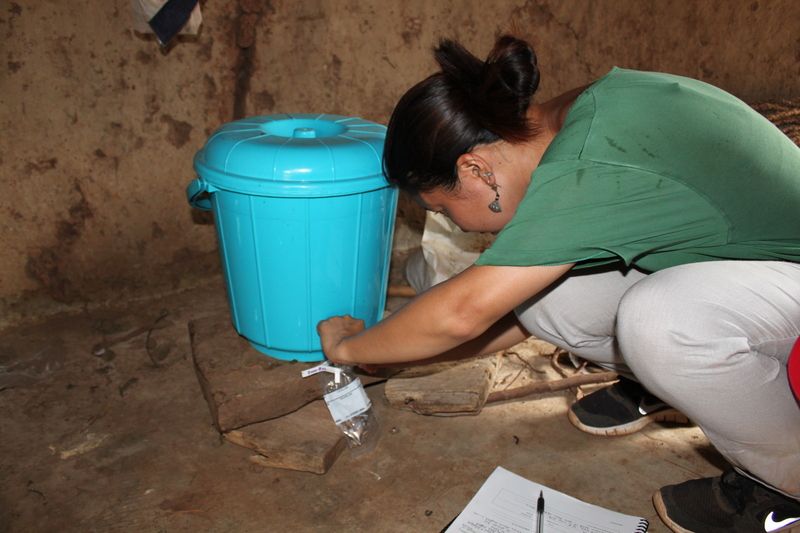 We also took samples from each household’s container. Since it rained yesterday, the women didn’t open the center again after opening day, so the Polytank is about 3/4 full and the women filled all of the blue drums. 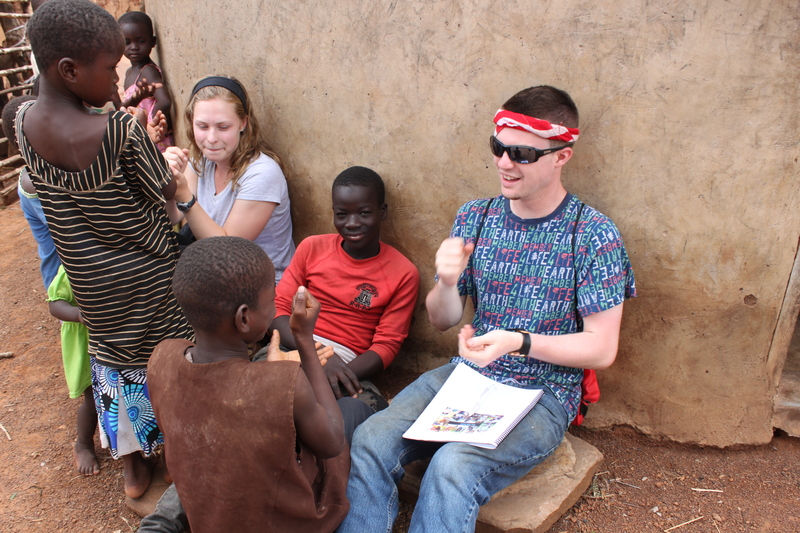 We had a great time playing with the kids – they tried to teach us some Dugbani words, and Miles taught them how to play tic tac toe. Overall, it was a great day of monitoring, and we’re excited for tomorrow! Ann taking a sample of water to test in the lab. Miles and Abby playing with some of the kids in Janakpam! Hey everyone! 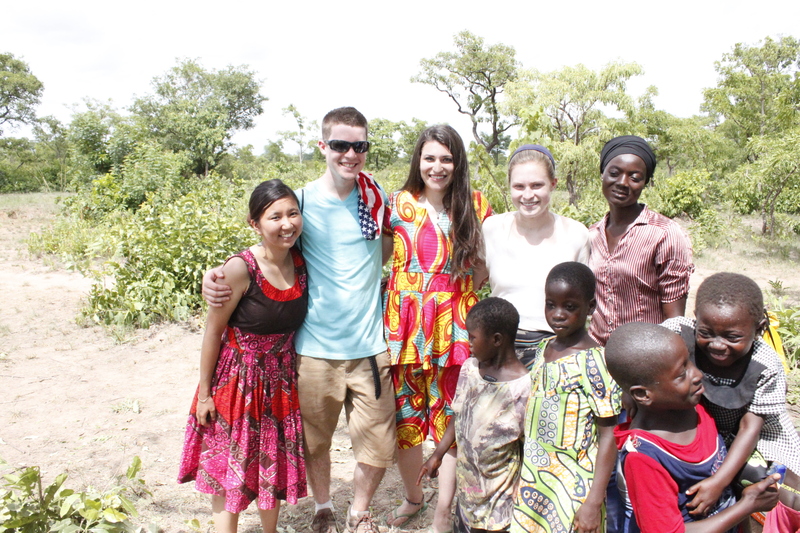 Robert, Sofia, Claire, and Phoebe here – along with our aptly named translator, Blessing! The village Team Blessing was assigned has smiling faces and warm hearts like all CWS selections, but the unique history sets it apart. Team Blessing’s village, Original Kabache, has an ongoing feud with their neighboring village, Indigenous Kabache. From what we understand, Kabache was once a unified community, but in recent years has split in two – each community striving for Kabache as the village name. 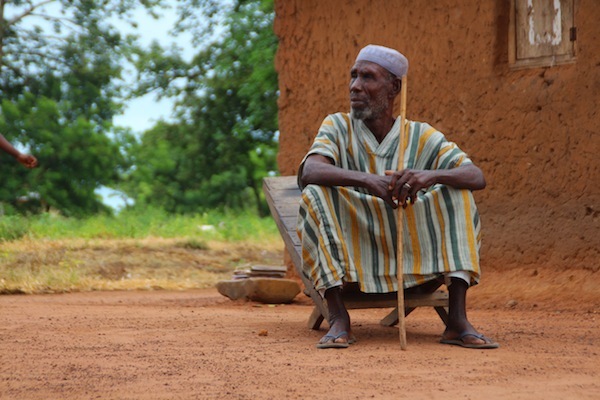 Both villages claim that they are the true Kabache; both chieftaincies claim to be the first Kabache. 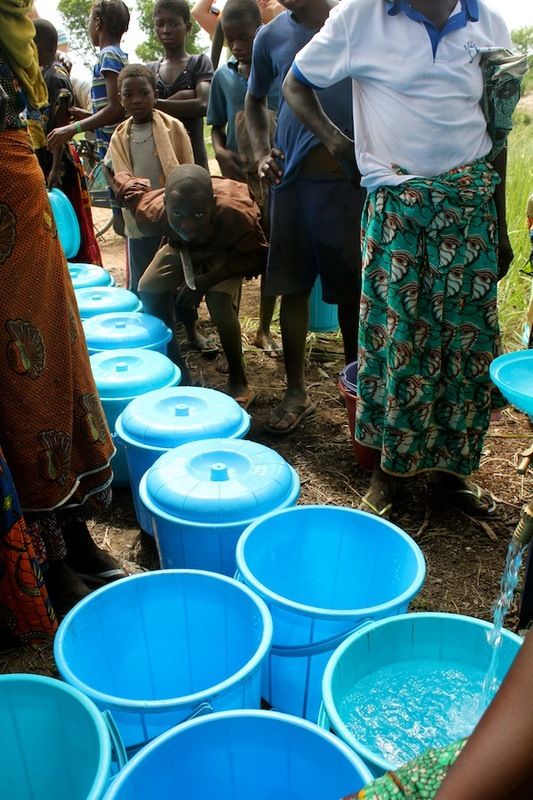 In 2013, CWS implemented a clean water business in Original Kabache’s rival village, which we can only imagine brewed tension. 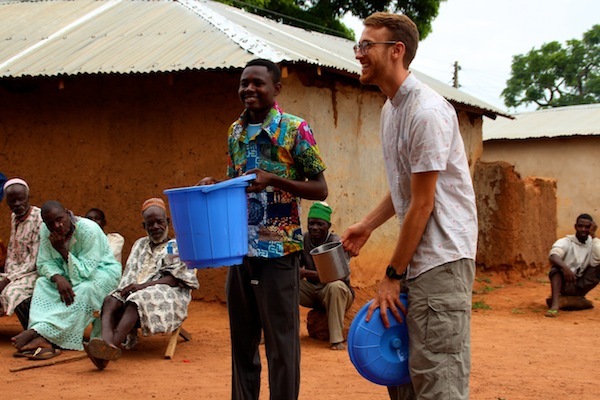 The feud is neither here nor there; Team Blessing came to implement a clean water business. Our goal was realized just 20 some hours ago! 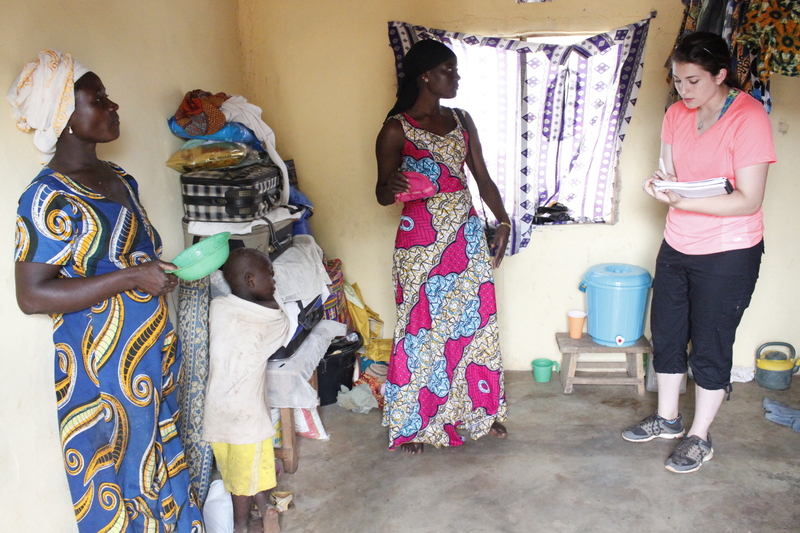 Prior to our first village visit, our team was briefed on three aspects of Original Kabache: it was a community of ~60 households, community members fetched water from a dugout ~2km from the center of the village, and of course the intra-Kabache-naming-feud. We petitioned the village chairman to hold a meeting with the Chief and village elders to discuss the CWS proposal to implement a clean water business, and minutes later were walked to the chief’s compound. The meeting began riddled with tension punctuated by the sounds of children playing and chickens mulling about. Once all the elders had gathered, the discussion lightened and we were met by overwhelming support and gratitude from the chief and elders of Original Kabache. Throughout our time in the village, the chief has provided positive support and clearly forward-thinking wisdom at each juncture. He genuinely wants to set a positive, sustainable and longstanding example for his people for, as he said, “generations to come.” The chief was also very excited about having clean water because he didn’t like that Indigenous Kabache had access to clean water and they didn’t. He believed that with the implementation of the water business they would once again be the best Kabache. Our careful, yet excited nods of approval were satisfactory. Team Blessing sampling Kabache’s dugout! Following our chief meeting, we invited any elders to accompany us on the 25-minute walk to the dugout to test the water for E-coli bacteria. With a water sample, we could incubate E-coli and total coliform bacteria on special 3M agar to provide a visual representation of dugout contamination in order to show the community when we met with them the following day. Thankfully, our community meeting was an inspiring success; almost all members of the community were present, attentive, and excited to begin working with CWS to create their own clean water. As asked, the chief and elders selected two driven, strong, and personable women entrepreneurs to run the center. Later, on the chief appointed a third woman since one of the original two was pregnant and might need to take some time off after giving birth. 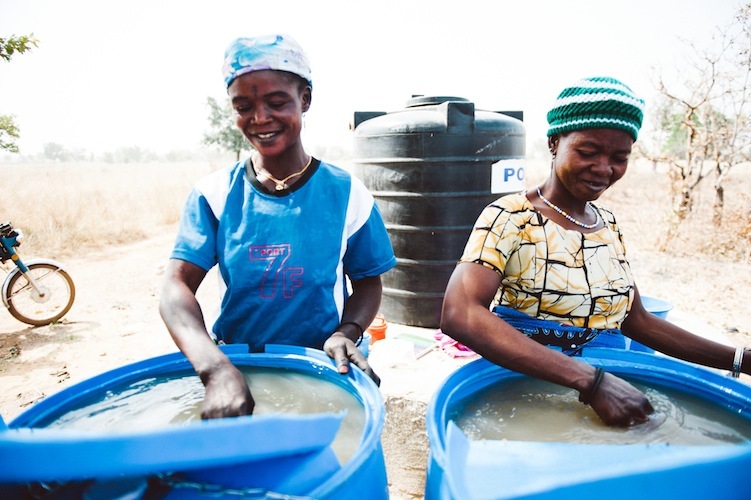 The CWS model stresses a few key tenants in order to promote sustainability in the water businesses, of which two are female empowerment and autonomy. 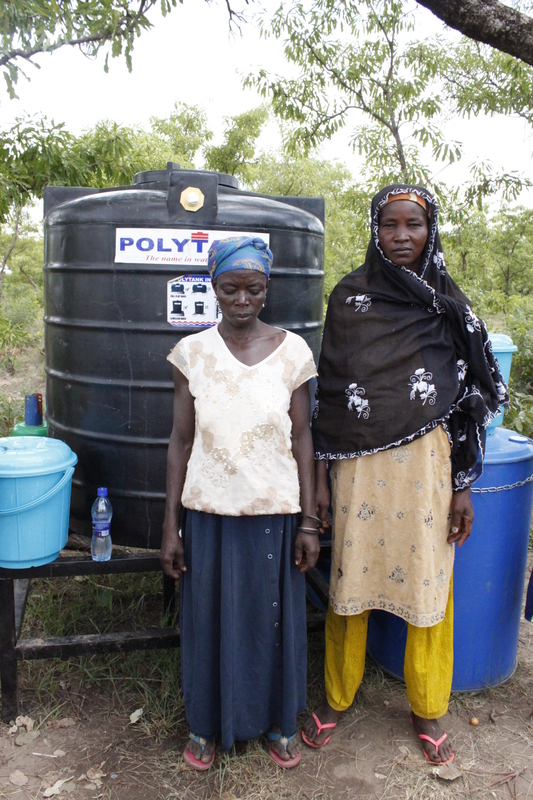 The women entrepreneurs of Original Kabache decided to sell the water for 10 GP (~$0.03) per 10 liter bucket, aspiring to match the price of Indigenous Kabache. For several days following our introduction to the entrepreneurs, our team worked long days to build the water treatment center, train the women on business management skills and water treatment procedures, and take time explaining clean water procedures to almost every member of every household in Original Kabache. By midday, we ran into our first real roadblock – our strongest and most punctual women entrepreneur was “out traveling” for the day. Furthermore, a wedding had been scheduled for the same hour as the business opening, a problem compounded by the surprise that the entrepreneurs had neglected to make an official community announcement when opening day would be. Scrambling quickly, the chief helped make an announcement – a drummer boy clanged down the road, and within a matter of minutes, women, children, and safe storage containers emerged from houses and huts. Opening day would happen after all. The walk to the treatment center was euphoric – down the footpath we could see silhouettes of the CWS logo, women balancing the safe storage containers on their heads. 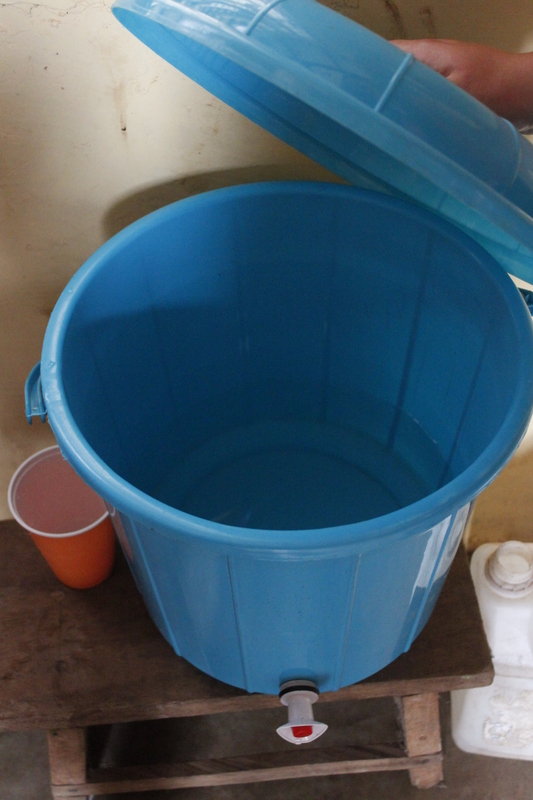 In total, ~40 buckets were cleaned and filled with treated water. Some women were pleased with the taste of chlorinated water; others thought it strange. Rob tried to grab as many costumers who expressed discomfort and explain that the unusual taste was just a clean taste – a conversation most often met with a smile, excitement, and even a few laughing slaps and handshakes. Following our debrief session with our strong entrepreneurs, the fellows were unusually tired; Phoebe was showing a loss of color from possible heat exhaustion. It wasn’t until a reunion with the other Salaga fellows from Sabonjida that the Original Kabache Team Blessing could properly stand back, admire the hard work of the people of Original Kabache, and take a moment to pat each other on the back for successfully bringing clean water to the homes of another 52 households under the CWS program.